I’m a bit of a frequent traveler. I get a lot of questions from follower, friends, and family on how I travel so much. I’ve been asked if I’m unemployed or if I’ve won the lottery. Neither are true. I do have a day job and I travel and blog during my spare time. Therefore, I wanted to create a “How-To Guide” for fitting more travel on your calendar, with some of my top schedule-maximizing ideas. As I travel over 150,000 mile per year, I spend a bit more than the average person on the go. And that’s mostly my own personal travel; I’m not too heavy on travel for my day job. I do have somewhat more generous paid time off at my employer but it’s nothing extreme. I do however get creative to make the most of my weekend, holidays, and paid time off to maximize my world travels. My examples below assume that you work a traditional Monday through Friday work week and are a traveler based in North America where most of my readers reside. Example: Depart Thursday evening after work on a transatlantic red-eye. Return on a Sunday afternoon and use the gained time zones to your advantage. You could easily arrive early Friday morning and have 2 full days plus Sunday morning to explore a European destination. On the return, it’s completely feasible to be home before sunset on Sunday. This is easiest to use if you’re departing from the Midwest or East Coast of the U.S. but it may work from the West Coast if your flight is nonstop. For example, you could fly nonstop from many major U.S. cities to London, Frankfurt, Paris, Dublin, or Milan. New York, Miami, Philadelphia, and Boston have the most nonstop options as they are major transatlantic hubs. Also, think of it as getting a “free” night’s sleep in the air. That’s one less night to spend money on a hotel. This is the method of scheduling that I used for longer trips or “real” vacations. I say “real” vacations as I travel so frequently for blogging, that sometimes I do take actual vacations. If you are a traveler who doesn’t need much time to recover before returning to work, you can squeeze a 10-day trip into one business week. Example: Departing North America on a Friday evening after work for Europe. 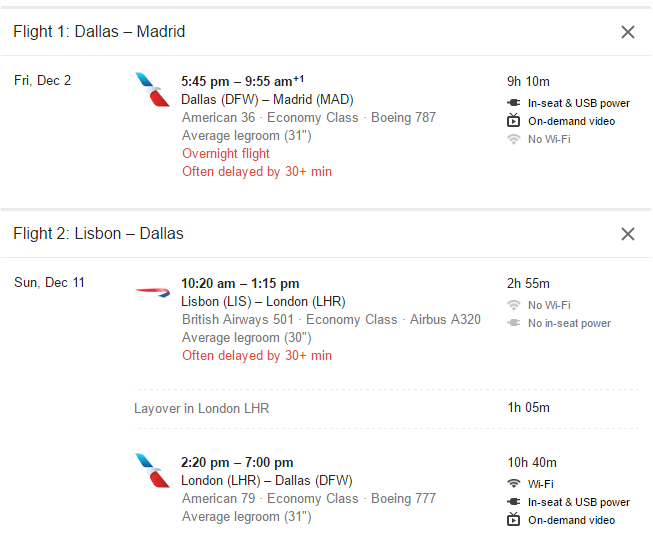 Your red-eye flight will have you arrive in Europe on Saturday morning. If you return the following Sunday morning, arriving back home on Sunday evening, that give you seven full days of vacation plus a couple of half-days book-ending your trip. You could work a similar itinerary to Asia but the longer outbound journey will shave an extra half day of your first day on the ground. You may think that all holidays weeks are expensive for travel but that’s not the case. Christmas or Spring Break may be higher in general but check the weeks around Memorial, Labor Day, Thanksgiving. These holidays are typically during travel shoulder seasons and there are deals to be found. Example: Depart Thursday morning (departure time varies) and arrive in Tokyo/Seoul/Hong Kong on Friday afternoon.This gives you Friday, Saturday and a half day Sunday at your destination. Returning back over the International Date Line, you will likely arrive back in the U.S. before your departed. If you left Sunday afternoon from Asia, you’d arrive the same day in the afternoon on the West Coast. This is similar to a long weekend in Europe but requires an extra day due to the longer journey time to Asia. 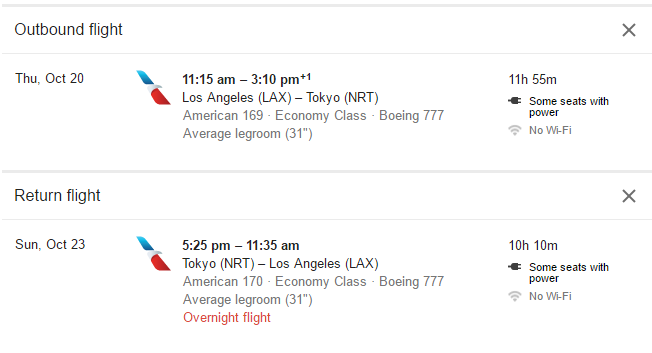 This itinerary really only works best if you have a nonstop flight from your home city. Departure times to Asia vary but morning departures will maximize your time at your destination. This one may be harder if you are flying from a smaller regional airport in the Midwest but works well if you’re close to major airport with nonstop Asia flights. I recently had a fun long weekend in Hong Kong by taking advantage of American Airlines’ nonstop flight between Dallas-Fort Worth and Hong Kong. Generally this itinerary would involve two days off work but if you tie it over a holiday weekend like Labor Day you would miss only one day off work. For example, depart Friday morning and return Monday (Labor Day). Example: Depart Thursday morning from the West Coast for Hawaii with an arrival in the afternoon. This leaves you with full days of relaxation on Friday and Saturday with a return on Sunday afternoon.With lots of direct flight to most of the major Hawaiian islands, this itinerary is ideal for folks on the West Coast. Any points further East generally require a red-eye flight on the return. While I prefer a longer stay in paradise, I won’t turn down a quick jetset to Hawaii. Kauai is one of my favorite places on earth! This San Francisco to Maui itinerary is perfect for 4-day weekend in Hawaii. When planning your hotel stay, stay in the city center or near where most of your sightseeing or attraction will be. This way, if you can’t check-in early, you can store your bags with the front desk and start your city-exploring right away! 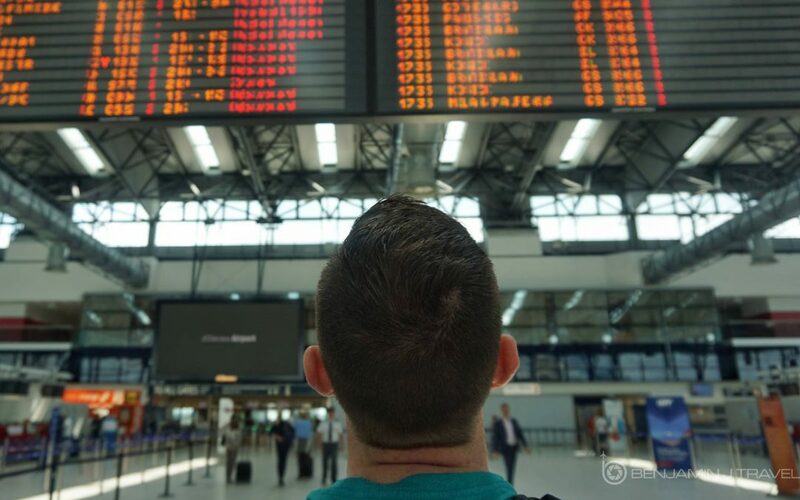 Generally it’s not a good idea to stay near the airport as you will spend too much of your time in transit between your hotel and city center attractions. For my hotels, I love to use Hotels.com to book my last-minute hotels. I like the flexibility of their rewards program, its basically stay 10 nights, get 1 free. And you’re not locked into a specific hotel brand for rewards. Weekend flights, especially around holiday weekends, can be a bit more expensive. 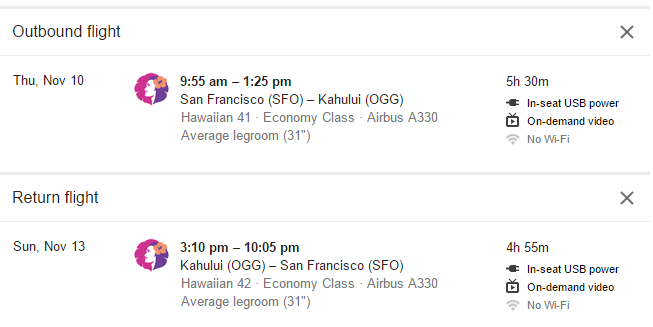 However, if you plan ahead or monitor prices on Google Flights, you can often snag some great deals. I will often scour flight 30-60 days in advance for weekend flight steals. I don’t plan on sleeping through my trips. I’m there to enjoy my destination, not sleep. I sleep fairly well on planes so I tend to catch up on naps in the air. I can easily cover a new city in 48 hours. I’m not disappointed by a short visit, seeing the best of a particular city. What about jet lag? For me, on short 3-4 day trips, there really isn’t time for jet lag. I don’t have time to adjust to the time completely so coming home, jet lag is mild. Longer trips are more challenging though. While I don’t rush, I’m a quick person. I plan ahead what I want to see, eat, and explore and hit my highlights. However, I don’t let myself become disappointed if plans are forced to change or something off-itinerary comes up that’s more interesting. These are just some of the ways I manage to squeeze a whole lot of travel into my calendar, even with a full time job. How do you maximize your travel schedule? Would love to hear your tips for fitting more travel on your calendar in the comments below! Good tips! Short vacations are sometimes all you need. I wish my body was able to recover from jet lag as quickly as you. It took me four days to get my body together after my six weeks in Europe. Thankfully, I work in education so I am blessed with several extended breaks! Solid tips regardless. The longer I stay, the harder to recover. Also, I feel it’s harder adjusting from Asia than Europe. I have a full time job and when I traveled frequently pre-motherhood I would basically use the methods you mentioned in your post. All practical stuff that maximizes vacation days. Thankfully I have a 4/10 schedule, which helps even more. Nice! 4/10’s is nice to have! Feels to to get a break from the usual! Benjamin, thanks for your travel tips. 150,000 mile per year is a lot! I try to maximize my time when I travel too. Once you get going, it’s hard to stay on the ground! I love traveling, I don’t do it a lot anymore though. I work too much, bleh. I’m loving the 4 day vaca idea though. A break is always needed! It’s mentally refreshing. These are great ideas! I’ve definitely had to get crafty on some trips! 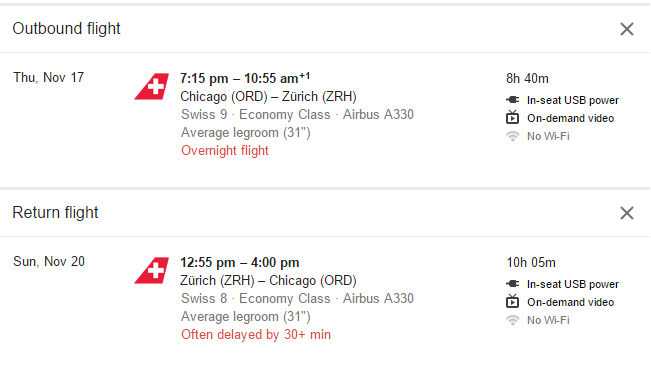 I’m thinking I need to try the 3-day Europe trip soon. Genius! Thanks! Glad the tips are helpful. Labor Day is the best since it’s still warm in Europe but way less crowded! These are great tips, I love travelling and utilizing as many days as I can without take additional days off work. Thanks for the ideas for future trips. Thanks! Glad the info was helpful! I never though I could take a weekend trip to Europe but you make it sound so simple! Will totally do sometime soon.